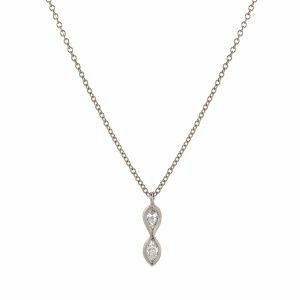 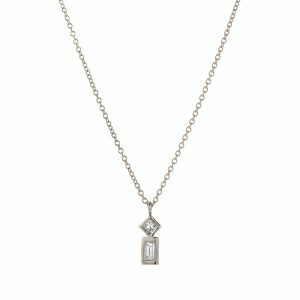 Our unique double pear and single baguette cut diamond necklace is both memorable and distinctive. It shines and sparkles and is guaranteed to charm those around you. 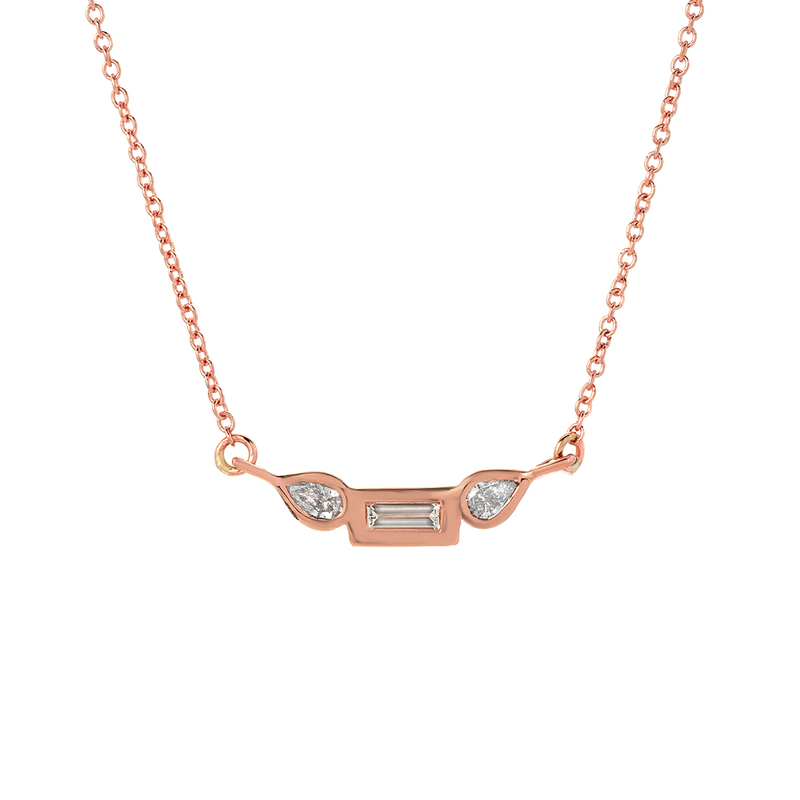 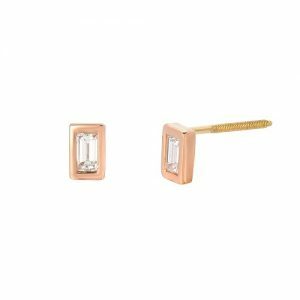 Plus, the setting is customizable – it’s available in 14k gold (yellow, white, rose) or platinum.